Joni's trying to do well at school while also working several side-jobs to support the family income. Her dad has a bad back and her mother works as many hours as she can, but doesn't earn enough to pay all the bills. Joni's father doesn't get any disability money and times are tough, but Joni soon discovers they can be even harder when they have the threat of becoming homeless hanging over their heads. Fortunately Joni has her job at the local library, it's the place she loves being the most and working there keeps her sane. When Annabel starts volunteering at the library Joni isn't happy. Annabel is the daughter of a rich business man, so she has plenty of money and Joni desperately needs her job. Annabel and Joni are from different worlds, but when they get to know each other sparks fly. Joni expects Annabel to have a worryfree life, but does Annabel really have it as easy as she thinks? And is it possible for two girls from clashing backgrounds to form a bond? Can Joni and Annabel overcome their difficulties even though there are many? Skylarks is a fantastic thought-provoking story. 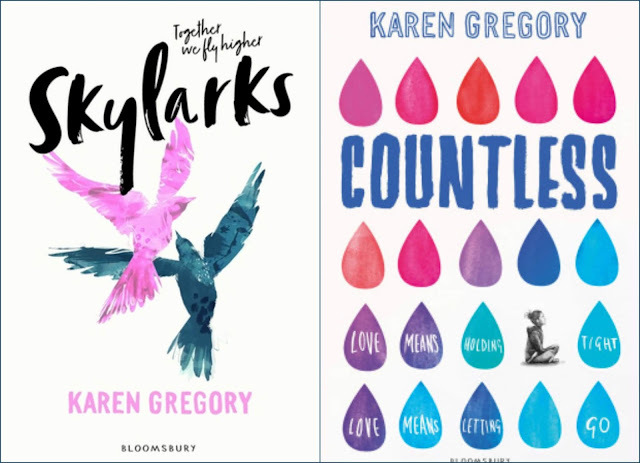 I loved that Karen Gregory writes about two sweet and smart girls who have a lot in common, but also have one major difference, one has plenty of money and the other one doesn't have any. She describes every tense situation that arises in a fabulous well-thought-out way and it's clear she perfectly understand the subject she's writing about. Annabel might have plenty of money, but she doesn't get much love and Joni has an abundance of love and doesn't have any money. Reading about their situations at home was heart-rending and I kept wishing someone would make everything all right for these wonderful girls with too many worries for their age. They try to support each other, but that means they have to learn to understand where the other one is coming from, which was an incredibly interesting process to witness. With Joni Annabel finally feels free and Annabel shows Joni there are possiblities. Joni has to make sure Annabel's generosity doesn't make them unequal though and there are family secrets that are threatening their already fragile relationship. I was so curious to find out if they'd make it that I read their story in one sitting. Karen Gregory has a gorgeous compelling writing style. I could easily picture the settings she describes and the feelings her main characters have to deal with are always spot on. While she writes about a serious topic there's enough brightness to keep the balance between light and dark. I loved how skillfully she manages to add depth to her story, there are many fascinating layers and each of them has been thoroughly explored. She combines this with beautiful pure, but bittersweet love. The result is an impressive novel filled with surprising twists and turns and plenty of terrific drama. I highly recommend Skylarks, it's an absolute must-read. If you love emotional YA you don't want to miss Skylarks. I was so pleased to be asked to write a piece for With Love for Books and thought I’d share a little about the process of writing Skylarks and what the first year after the publication of Countless has been like. Many authors have spoken about the difficulties of writing the next book after their first was published. In some ways, Skylarks didn’t feel like a second book. In part that’s because it wasn’t! I actually had two other completed and revised novels in a drawer, plus a number of other ‘false-start’ projects prior to Countless being published. Skylarks started life back in early 2015 which helped massively as it meant I already had a completed draft before Countless was published and perhaps avoided some of the difficulties in deciding what to write next. However, there were still a lot of challenges to navigate. Skylarks came out almost a year to the day after Countless was published. In that year, as well as getting used to being a published author and doing events and promotion for Countless, I was also seriously revising and editing Skylarks so it was a super busy year! I had some wonderful experiences, including being on a panel at YALC, chairing my first ever panel at YA Shot and being on live radio for Down The Rabbit Hole and of course meeting and hearing from readers. Most of the time it’s been magical, but also new and scary, which takes energy and no small amount of courage! My key tip here would be to say yes where you can, even if it’s something that scares you, prepare as well as possible and then just take a deep breath and go for it. I’ve learned a little more from each event. Finding other supportive author friends also really helps you feel less alone with it all. Up until a couple of months ago I was also working in a really challenging project management job, so there were definitely times when I felt quite overwhelmed. 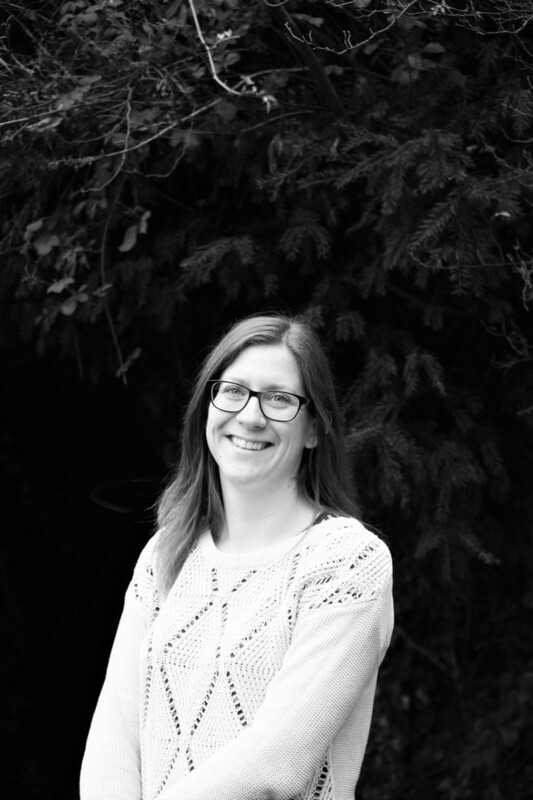 I’m now working for a children’s literacy charity, which is something I feel hugely passionate about, but it can still be tricky finding the right balance between my two jobs as well as looking after my children and (sort of) keeping up with the housework! I always feel the need to point out that I’m very lucky my day job is part time, and I appreciate not everyone has that luxury. I’ve found that publishing is generally a game of patience. At times it can feel like everything is happening really fast and all at once, but those bursts of activity are often punctuated with long waits for various things to happen. I think it’s really important to use those down times to rest, recharge or work on something new that excites you. It may turn into your next book, or it may seed the idea for something else further down the line. Overall, the last year has been crazy-magical and I am so grateful for it. When I see my two books hanging out side by side on a shelf, or hear back from a reader, it really does make all the hard work worthwhile, so I am incredibly grateful to every single person who has read and reached out in some way. Here’s to the next year! One very lucky reader of With Love for Books will receive a paperback copies of Skylarks and Countless by Karen Gregory. I love the covers! Very eye catching. What a great topic. It sounds like there are lots of twists,turns and drama, I suspect this would be a great read. 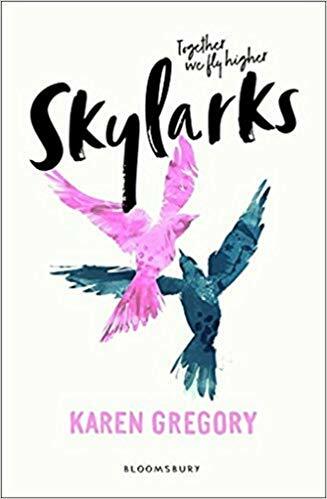 Skylarks sounds like a heartfelt and heartwarming story that discusses poverty, class divide, social inequality and protest in a really great way. this looks fab, would love to lose myself in it's pages! when I've followed I've used my gmail, suze, not my hotmail. Apologies! I would love to read Skylark, it sounds amazing. I can see my daughter enjoying this too. This sounds very interesting. I can understand how the girls would have preconceived ideas about each other. I can't wait to read it. It sounds like a really emotional book! Skylarks sounds like a something I would read. And the cover is beautiful. I love your book covers, especially Skylarks. This sounds so good to me, I like stories that address the financial divide but also finds ways to bridge that gap, too. Wow! Sounds amazing! I'm adding it to my Wish List. Thank you Karen, I enjoyed reading about 'The First Year'.